Call us on 0351 554 955 or drive in to our facility during office hours to find out about Self Storage or Boat & Van Storage. Let us know what you want to store and for how long. We will assist you in space estimation and pricing. We can show you a range of storage solutions. 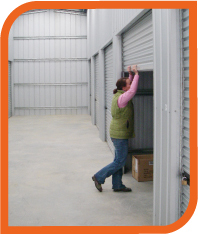 Self Storage – Storing is arranged by signing a simple standard storage agreement approved by the Self Storage Association of Australasia. A calendar month’s rent is due in advance along with the administration fee of $16.50. Boat + Van – Storing is arranged by signing a dry storage agreement. A calendar month’s rent is due in advance. You can pay monthly, quarterly or annually. Self Storage – If it is worth storing then it is worth insuring. Insurance is recommended. The goods you keep in self storage are yours and remain your sole responsibility. You should have them covered by insurance. Your goods are not insured by us. Please check with your insurer if your household or business cover has provision for items in storage in case you are already covered. Boat + Van – Insurance is required to store with us. Your current insurer may need you to advise them of changed “housed address”. We can assist you with this process – just ask. We will then require a copy of your insurance papers to keep on file. Self Storage – Lock up your storage space with your own lock and keep the key in a safe space. We have locks for sale at our office if required. Then move in at your leisure. For access hours please click here. Please contact 03 5155 4955 for a current Boat, Van and Trailer Price List. One month payment in advance plus current prorata is required on move-in (plus once off admin fee). Thereafter, monthly payment is due on the 1st of each month. • Credit cards: Visa and Mastercard are accepted. We can automatically process ccard payments on the due date.